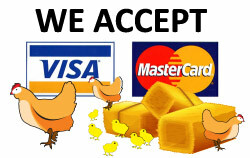 At City Chicks we are ‘egg-cited’ about all things poultry! 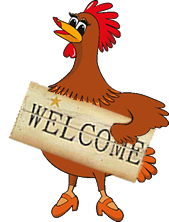 We are family businesses that love to share our knowledge & passion with your backyard poultry questions. Caring about chooks, their health and happiness, is very important to us at our City Chicks farms located at Sydney and Brisbane. We also service the Gold Coast and Sunshine Coast. Being nationwide, we can provide you with localised knowledge for your poultry care; in fact everything you need for your backyard chicken & poultry experience is just a call or visit away; with our personal service when you visit any of our branches at Sydney or Brisbane HQ. Open Daily: Monday - Saturday 9am- 2pm, Sunday 9am -12 noon at Lifestyle Centre, 225 Mt Glorious Road, Samford 4520 Qld. We are Australia’s no 1 poultry provider in things related to backyard poultry & have our own City Chicks hatchery breeding over 30 heritage chicken breeds. • Poultry accessories – locally made chicken coops, chicken feed, natural health poultry products, pest control & lice protection for your chooks, chicken nappies and more! We are here to help you with any questions you may have about setting up and maintaining the best environment possible for your chooks – we deliver accessories Australia-wide. Contact us at Brisbane for general enquiries or email/call your nearest store for more information about opening hours this week.